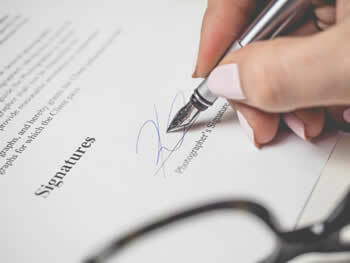 Signing and Ratification are two terms that are often used in collaboration especially when speaking of political documents such as treaties or laws. They are always spoken of together but what exactly does each of the two things mean? Are they the same? Signing and ratification are two different steps in the process of getting a law or treaty passed and then active. However, even before signing or ratification comes negotiation. All the parties involved first must discuss the needs and/or requirements and come to a final decision regarding what must be done. In the case of a law, this must be all the relevant departments and their heads or representatives. In the case of a treaty, it will be the countries and their heads, i.e. Presidents or Prime Ministers, etc. Once all the parties agree, then it will be written down on to a document, which will then be signed by all the parties. The signing of the document expresses the party’s intention to comply with the terms outlined within the document. However, this expression of intent in itself is not binding. This also does not ensure that the law or treaty is passed or active. The step of signing is just one of the steps in the process; it is not the final step. After signing, comes ratification. Ratification is the process in which the parties must ratify the document. Basically, once the document is signed, the parties must take it back to their representatives and then get is signed. The representatives are the one who have the legal authority to approve the document for which the parties have signed. For example, once all the countries sign a treaty, the countries will take the document to their government who then approve the treaty, only after which the treaty will go into effect. Once the country approves the document or treaty, the instruments of ratification are then exchanged or notified. 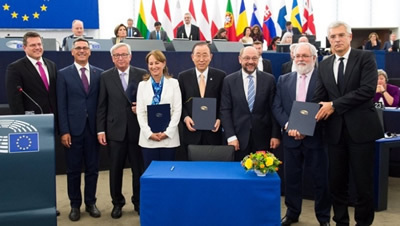 The official term of ratification refers to this exchange, after which the countries will take steps to pass laws or legislations to ensure that they are meeting the requirements of the treaty. The action of writing one's signature on an official document. Express the intent to comply with the terms outlined within the document.